The All European Academies Madame de Staël Prize for Cultural Values was awarded for the first time on 9 April 2014 by European Commission President José Manuel Barroso. 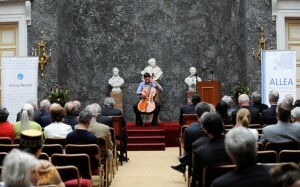 The award ceremony took place in the Palaise des Académies, seat of five Belgian Academies in Brussels. “A sense of belonging to Europe, to a community of values and culture, is essential to forge that common destiny. Europe is us, each of us. And each of us can make a difference in Europe and contribute to driving positive change. This is what ALLEA is doing through its wide range of activities. This is also what Professor Luisa Passerini is working on, looking at what holds us together. I congratulate Professor Luisa Passerini for her exceptional work which forms part of the important scholarly contributions towards an understanding of Europe as an intellectual and cultural entity”, stated Barroso. Read more in the press release. Luisa Passerini is part-time Professor at the European University Institute, Florence, Italy, visiting Professor at the Columbia University, New York, and former Professor of Cultural History at the University of Turin, Italy. She has taught and conducted research in many different Universities in various countries in Europe and in other continents (Africa, Australia, USA). 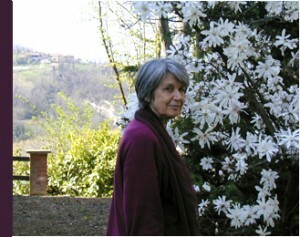 She currently heads the research project Bodies Across Borders: Oral and Visual Memory in Europe and Beyond (BABE), funded by the European Research Council, which aims to study intercultural connections in contemporary Europe and to understand new forms of European identity as they develop in an increasingly diasporic world. Luisa Passerini´s further research fields include the history of subjectivity, including forms of European identity, gender and generations or diasporic subjectivities. Her research on Europe intends to deconstruct “Eurocentrism” in the field of passions by explaining the emotional components of European identity in historical perspective. Sources include texts of various kinds, such as essays (from literature on European federalism to literary histories), novels and personal letters, while an iconographic dimension of the research is given by representations of the myth of Europa in connection with the discourse on Europeanness.